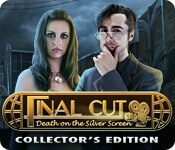 Final Cut: Death on the Silver Screen Collector's Edition is rated 4.6 out of 5 by 186. Rated 5 out of 5 by KathyC312 from Enjoyable game This was a fun game to play...lots of scenes and a good amount of HO scenes. It took me about 4 hours to complete the main game and 1 hour for the bonus chapter. - Good graphics and story - Good duration (I hate HO games that end too soon) - Has a map that tells you where you are and where there are 'available tasks.' However, it can't be used to teleport you to that area. - Be sure to watch the "Making Of" movie in the bonus section. Fun to see the production team and them goofing off. Rated 5 out of 5 by smilingsun72 from Action! Intrigue! Death! Say what kind of projector?! Completed-This is one of my all time favorites. The story is captivating and keeps me wanting more. The graphics are high quality, the music award winning, and the acting and voice overs are fabulous. All the characters memorable to their roles. Even the family cat has an important part. And the twists are something I'll never forget. So, if you are looking for something different this game and Encore are worth the money you pay. The others in this series are good as well. And you don't have to by the CE to enjoy a great game. Rated 5 out of 5 by pennmom36 from Final Cut: Death on the Silver Screen CE Morton Wolf was perhaps one of the greatest inventors of his time. This movie mogul was guilty of two things, he cheated on his wife, and he invented a movie projector that makes people go stark raving mad! He knew this device was evil, so he took it apart and hid all the pieces around his mansion. Twenty years later, Morton has been murdered and your brother Frederick has been kidnapped by a mad man who demands that you find all pieces of the movie projector if your brother is to live! I love the Final cut series, this first episode is my favorite, however I'm not a fan of the muddled gold and brown graphics that to me is unimpressive. This Collector's Edition has several Collectibles, 10 Secret hidden Cards, 20 hidden House Photography pictures, and even 10 Lights to collect. The Collector's Edition also has Achievements to earn. 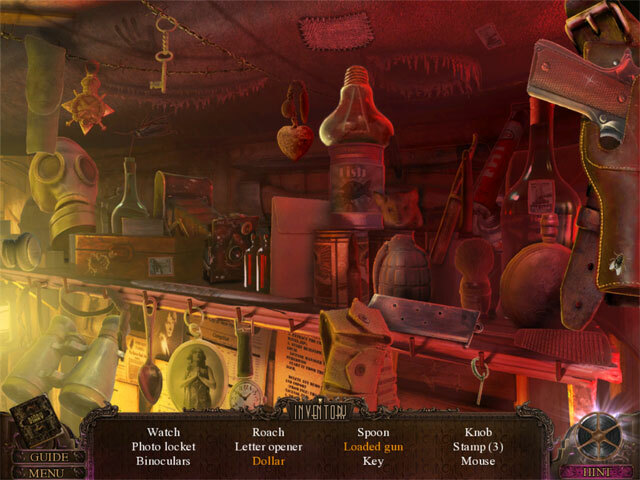 The Hidden Object Scenes are interactive list finds that can be difficult because of the muddled graphics, and some of the Hidden Object Scenes are repeated in the same place. The Mini games are usually in the form of intricate locks that Morton has invented. My favorite game involved a lock with colored jewels on three rotating rings that requires you to align the colored jewels so that the jewel holder is the same color as the jewel in the quarter circle. It sounds difficult but there's only one logical combination. The Collector's Edition has Pictures, replayable Puzzles and HOP's, Bonus HOP's, Music, Movies, Photo Sessions, the Making Of, Achievements, Collectibles, a built in Strategy Guide and a Bonus Chapter, enjoy! Rated 5 out of 5 by Nagasse from A gem of a mystery! Absolutely great game! - Its fun if you like hidden object, mystery, puzzle type games and it has a great storyline that will keep you involved from start to finish. - The graphics visual and sound are have a real feel. Its not cartoon in appearance or sound. The scenes flow and it appears as if you are part of a movie. I would definitely recommend this game and the others in the series! Rated 5 out of 5 by An0therW0rld from On the trail for projector parts ... Thank you to the developers for such an enjoyable game to play. My only 'con' would be that most of the puzzles were a little too easy. Plenty of 'pros' though, including, fantastic atmosphere (can't beat the rain for that); wonderful artwork encompassing 50's design; 3 collectibles of photos, cards and turning on lights, albeit I did not get all of them in all 3 groups; achievements are mostly 'silly' ones - but I like the humour in that. The "real" characters are well done with very good voiceovers. The story and artwork draw you into the story for a very enjoyable game to while away one's spare hours ... and the hours that you are supposed to be doing something else ... PS: make sure you watch the movie of the developers making the game - too cute. Rated 5 out of 5 by SjSivula from One Of My Favourites! I love this game and have played it several times over! The scenes are dynamic, colourful and rich. The HOS are just the right amount of challenging and the puzzles are very clever. The storyline is fresh and intriguing, and they did a great job of pacing it well - no boring spots! I highly recommend every game in this series. You can't go wrong! Rated 5 out of 5 by centauri272 from Great game with a lot to do! The story is interesting; the characters also. There are 2 game modes. I played in Expert. 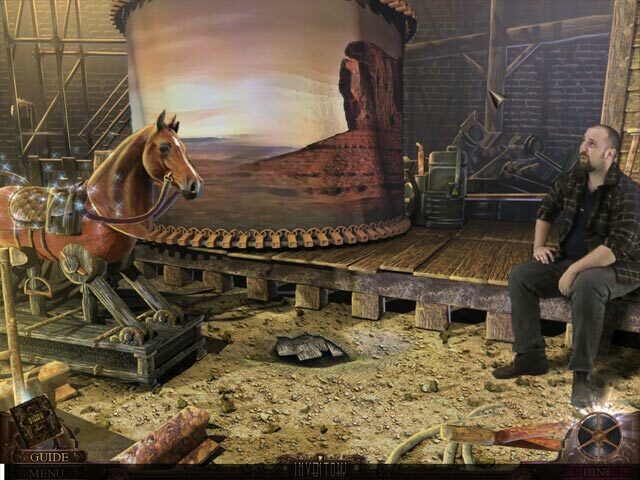 - The graphics are crisp and the objects in the HOS are easy to find. - There are a lot of mini-games, also interesting, not too hard. - The journal is very helpful; it contains the clues you found, the story of the father, a list of the objectives and a map; this one is very useful since there are many locations, but you can't jump. - There are many achievements to earn; among others there are photographs and playing cards to collect. It's possible to collect up to 40 achievements! Without skipping the main part took me about 3 hours. The bonus chapter is also good and took me a bit less than 1 hour to finish. In the bonus section, there are also 2 extra HOS, and you can replay all HOS and mini-games. All in all, a great, entertaining game! And the CE is worth the money. Rated 5 out of 5 by sunday_monkey from I thoroughly enjoyed this game! I enjoyed everything about this game. The storyline was interesting with just the right amount of creepiness. I liked the attention to detail throughout the whole game. The puzzles were fun, not tedious like in some other games I've played. A+ all around! 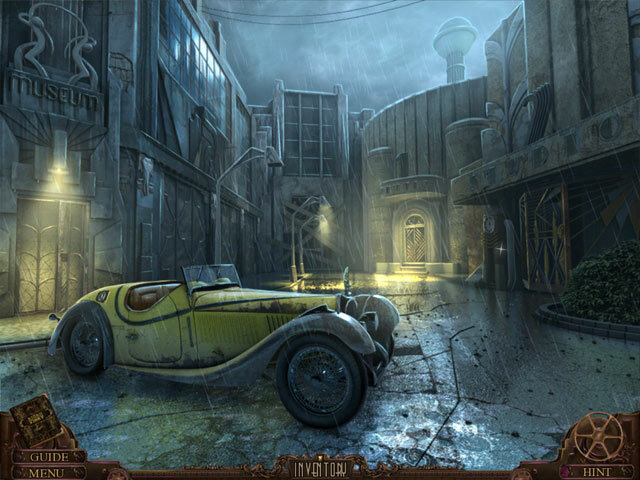 Save your brother and try to solve the mystery behind the silver screen in Final Cut: Death on the Silver Screen, a thrilling game set in the 1950's!